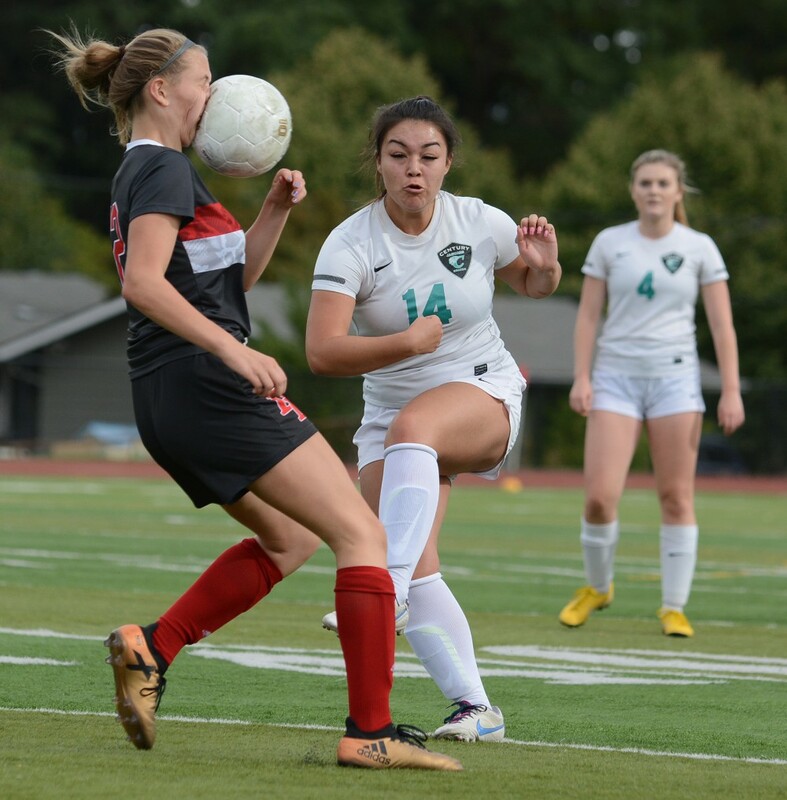 Naomi Whitlock of David Douglas High School in Portland absorbs a ball to the face after a kick by Angela Silva of Hillsboro's Century High School goes unexpectedly high off her foot during a preseason match. It’s often a dramatic part of play. But is it necessary? Coaches tend to agree on the dangers involved in headers. It’s not so much the ball hitting the head. With proper development and training, that can become a relatively safe skill. 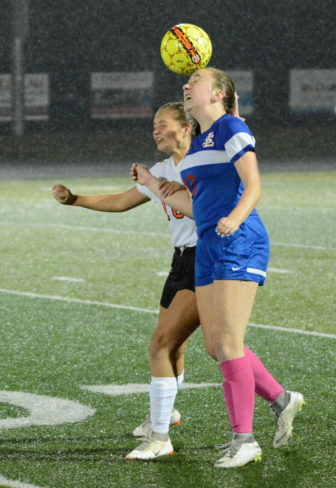 Katherine Collins of Milwaukie’s La Salle Prep goes up to play a header alongside Payton Fisher of Scappoose High School during a Northwest Oregon Conference match this season. It’s the contested plays, when two or more players are going after the same ball, that result in some of the game’s most violent collisions — often involving a crash of craniums. Boys soccer coach Allan Berry of Troutdale’s Reynolds High School agrees. “Most of the time, when we are calling trainers out to look at players, it’s because there has been a big collision or a clash of heads,” Berry said. We want to be looking out for the girls’ safety and well-being. If that means less heading then so be it. They are people first. Johnson actively encourages his players to adjust their position on the field to let an aerial ball come to their feet or to play it with their body. It’s a strategy that he says benefits players’ health and the quality of the game. “This is a new safety issue that we need to worry about,” he said. Coaches aren’t the only ones paying attention to the reports about the dangers of brain trauma. Jacobsen said he’s seeing fewer headers as concussion awareness rises. Do fewer headers take something away from the game? For Johnson, that’s the wrong question. David Ball is sports editor of The Outlook, a Pamplin Media Group publication in Gresham, Oregon.